Store Mayan cups in your refrigerator until you’re ready to use them. 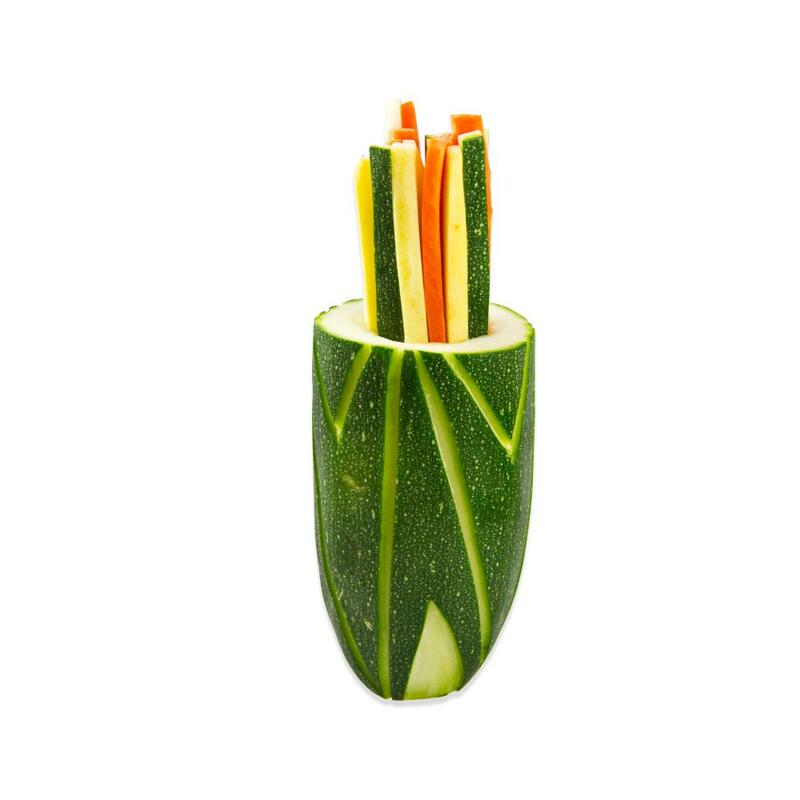 Mayan cups are hand carved from the ends of fresh zucchini. They are hollowed out, the end is cut so they will stand on it as a stable base, and they are decoratively carved for a more impressive presentation. 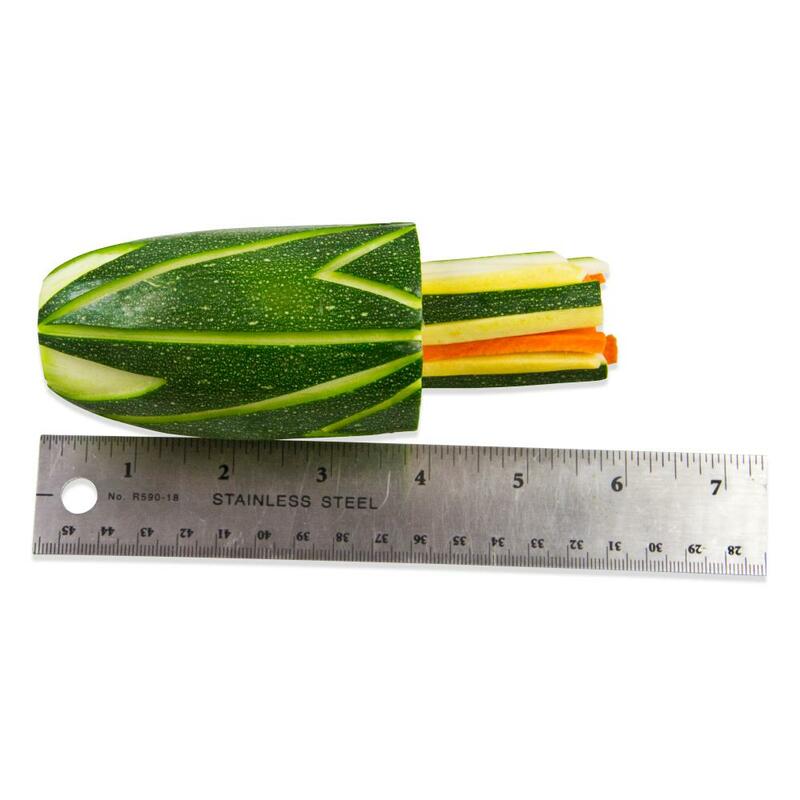 They can be used to hold thin vegetables, sprouts, whipped potatoes, condiments and other foods. 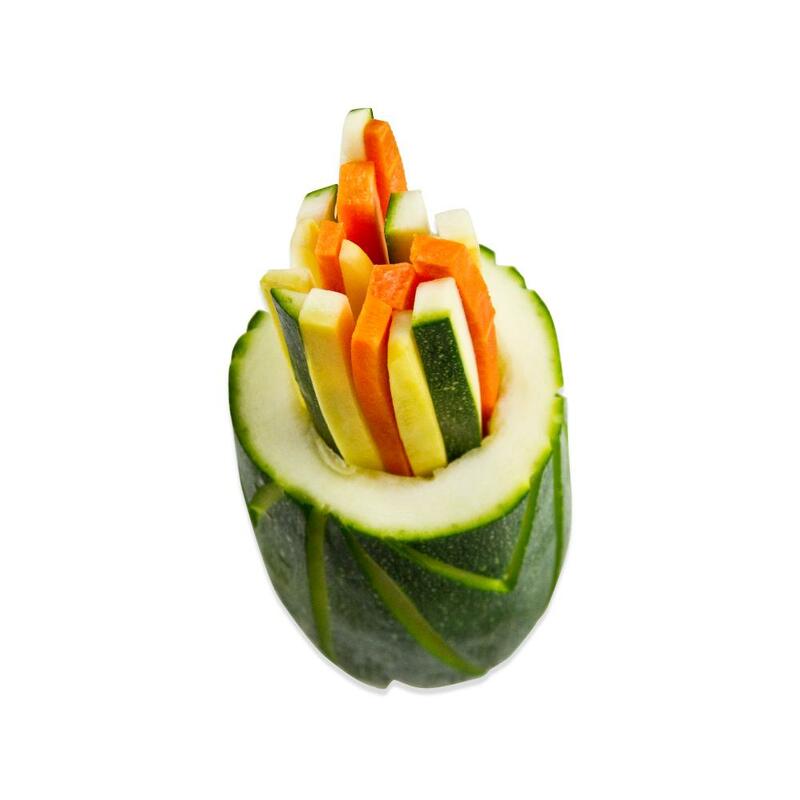 A selection of julienned vegetables is included with each cup. Mayan cups can be served roasted or steamed. Use them as an edible container when serving other foods. They can also be used raw as an inedible container.